The Abstract Show opens 6-8pm January 9th at MAM, (Modern Arts Midtown), and continues until February 28th at 3615 Dodge Street. (Gallery Hours: Tue-Sat 11-6, 402-502-8737). This exhibit can be viewed as MAM’s direct response to two previous Cool Abstraction group shows. 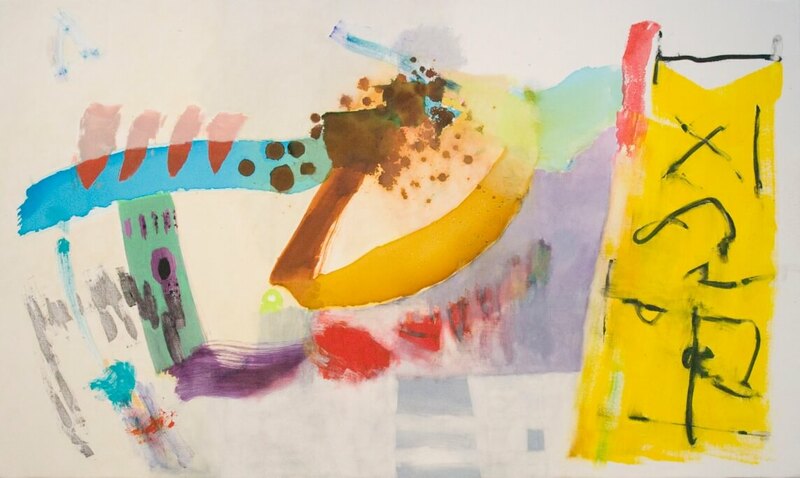 Eight artists present their perspectives in abstract works which offer spontaneous and intuitive expressive forms, promising to please many devotees of art. Compared to the preciseness and pre-planned nature of cool, geometric abstract art, this art shows the hand of the artists, seemingly allowing the viewer to watch their process during the creation of these works. There is much to enjoy in this exhibit. Featured Artists include Thomas Vitale, Dubuque, Iowa, Rick Johns, Sioux Falls, S.D., Grace Ann Warn, Michigan, Steve Mueller, Chicago, Il.Teresa Schmidt, Kansas State Univ., Larry Roots, Omaha, Robert Spellman, Des Moines, Cathy Palmer, Sioux City, IA.